The 2017 US Open witnessed the biggest casualties in the women's draw in the form of defending champion Angelique Kerber who was knocked out by rising Japanese tennis star Naomi Osaka in the opening round on Tuesday. The US Open witnessed the biggest casualties in the women's draw in the form of defending champion Angelique Kerber who was knocked out by rising Japanese tennis star Naomi Osaka in the opening round on Tuesday. The sixth seed German was handed a straight set 6-3, 6-1 defeat by the Japanese in round one of the women's singles. The loss would force the two time Grand Slam out of the top ten singles rankings. 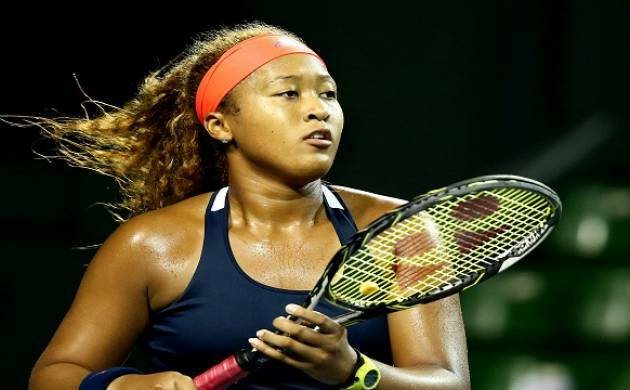 The sixth-seeded German was beaten by Naomi Osaka of Japan 6-3, 6-1, becoming just the second defending women's champion in the Open era to be eliminated in the first round of the US Open. "I think, yeah, it was not my day, completely not my day today," Kerber said. Not her year, actually. Kerber also is on her way out of the top 10 after losing one of the only matches that was completed before most of the schedule was washed out on a rainy Tuesday. "After Wimbledon, I was actually confident, because I was practising good," Kerber said. "I knew that everything was going the right way, but I was a little bit injured and it's still not 100 per cent with my elbow."